We believe that education is the key to changing local attitudes towards wildlife conservation here in Zambia. Education does not stop when you leave school. There are many people, both in towns and rural communities, who have never had access to environmental education, and who lack the knowledge about the long-term conservation issues that are affecting their day-to-day lives and that will affect their children’s lives in the future. 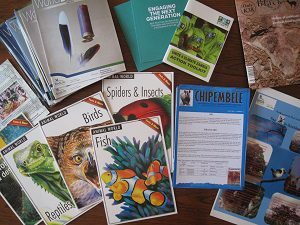 We are currently designing projects for both child and adult education by using traditional methods alongside innovative technologies, to inform and educate Zambians about their wildlife and natural resources so that they can make informed decisions about the future of their own environment. 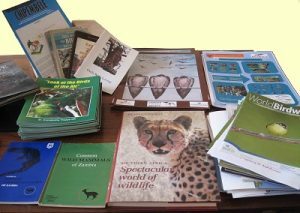 By connecting with other organisations ARC coordinated donations of reference books, along with posters and educational materials from Birdwatch Zambia and WECSZ to the Lavushi Manda Community Project so that they could start a new conservation library. ARC was also contacted by a Senior Wildlife Police Officer who wanted to start a new conservation club at Nabulangu Primary School in Dumdumweze, South of Kafue National Park. We introduced him to Birdwatch Zambia and WECSZ and again coordinated a delivery of educational materials, with ARC donating books on conservation. He was then able to open his new club with his local school and share his experiences and knowledge in this rural area about the wildlife surrounding them. We are currently developing a range of educational projects and will keep you updated as they progress. And if you have an idea or project that you would like help with, then do contact us.